On July 23, 2016, the founding meeting of The American College of Academic International Medicine (ACAIM or “The College”) took place at St. Luke's University Health Network in Bethlehem, Pennsylvania [Figure 1]. The meeting marked an important convergence in a decade-long collaboration between academic physicians and educators dedicated to advancing the discipline of international academic medicine. Additional information about the inaugural meeting can be found on the organization's website [www.acaim.org]. The establishment of ACAIM [Figure 2] is possible through the dedication of the group's founding members and founding organizations [OPUS 12 Foundation, Inc., and INDO-US Emergency and Trauma Collaborative, [Figure 3]. The inception of ACAIM represents an extension of collaborative efforts across specialties and institutions forged by its founders. Academic international medicine (AIM) has evolved into a unique discipline within healthcare that integrates education, research, capacity building, and advocacy at the supranational level. Using established resources, networks of individuals, and participating institutions, ACAIM seeks to achieve a high level of coordination across a broad spectrum of medical and surgical specialties, in effect creating a construct that is flexible, scalable, easy to replicate, and broadly applicable across diverse settings. In this document, the founding group of ACAIM presents our vision for this new organization. Despite significant interest among individual medical societies and specialty groups in the conduct of international work, there is no generally accepted US based coordinating body dedicated specifically to multi-disciplinary international academic medical outreach activities. As a result, learning is fragmented among international medical educators and researchers, and knowledge diffusion is uneven across largely informal networks. In the world of intensifying interest in global health, ACAIM offers a platform for international social networks to thrive and provides a way to synchronize multiple mission areas across diverse settings, thereby laying a foundation for creating a closely coordinated global network of academic training sites benchmarked by high standards that are supported through the best available evidence and backed by experts in various specialty fields. A multi-disciplinary approach to international medical academic development is necessary to spark further advances and to encourage innovation in this area of critical need. To that end, ACAIM is committed to coordinating educational efforts and participation of trainees using secure and sustainable funding streams based on our network of strategic partners. We aim to fulfill our mission by forming a group of dedicated clinicians, educators, and researchers who can facilitate the overseas presence and participation of US faculty and trainees in an efficient, cooperative, coordinated, collaborative, and sustainable manner. Currently, many international activities are disjointed and without effective communication or coordination across various US medical societies, accreditation bodies, professional colleges, universities, as well as other governmental and nongovernmental organizations. This academic void results in a high number of short-term projects, misapplication of resources, duplication of effort, and uneven flow of knowledge among international medical educators and researchers, leading to a lack of sustainability that impairs the capacity for expansion and success at the local, grassroots level. ACAIM seeks to provide an organized, unified, and standardized infrastructure connecting existing US based resources to lend assistance to communities around the world that face continued challenges in their ability to deliver educational content, clinical capabilities, and other critical contributions. This will be done by fostering access to relevant international, multi-institutional, cross-specialty collaborative initiatives. The ability to perform high-level, need-based assessments across multiple disciplines, institutions and recipient sites also facilitates ongoing gap analyses and more dynamic responses regarding the allocation of personnel and other critical resources. This further enables the creation of a bi-directional strategy where all parties involved are constantly exchanging practical knowledge and are actively learning from each other. This general approach will help ensure that all stakeholders feel valued, recognized, and fulfilled by participation in both current and future projects. Health-care professionals from high-income countries stand to benefit as much from such bi-directional collaborations and discussions as do their counterparts from low-to-middle income countries (LMIC). This is especially relevant in regard to critical global and local population health problems that are being addressed among LMICs successfully and may provide valuable implementation models for high-income countries and supranational organizations. Outside of a few well-coordinated but relatively isolated efforts, there is not a dedicated body to adequately address the needs, concerns, and goals of US-based physicians who share a special interest in AIM. Many short-term, nonsustainable medical missions exist, but their impact in the recipient countries often fades following the departure of visiting healthcare providers. Such missions, although frequently beneficial to the local population, inadequately address the root of the problem – the lack of supplies, equipment, local expertise and/or specialty training that propagate the gap in the delivery of care within a locality, region, country, or continent. Furthermore, the lack of the benefit of a lasting, bi-directional collaboration and associated intrinsic rewards has made some of the receiving countries and regions skeptical of durable, meaningful change without a redesign in overall deliverables. The key purpose of ACAIM is to coordinate the delivery of medical training and the creation of sustainable medical services across the globe, focusing on infusing expertise and knowledge management while educating local experts and promoting long-term sustainable efforts that enhance and enable local growth and development – in the context of, and with respect for, the local culture, environment, expertise, and resources. This can be accomplished through on-site support via volunteers, grant funding, Internet-based learning, medical simulation (e.g., through the use of ACAIM sponsored/approved sites or alternative remote learning platforms), and audio-digests/podcasts. We intend to support the provision of the best possible quality of educational, research, and medical support to our colleagues around the world. 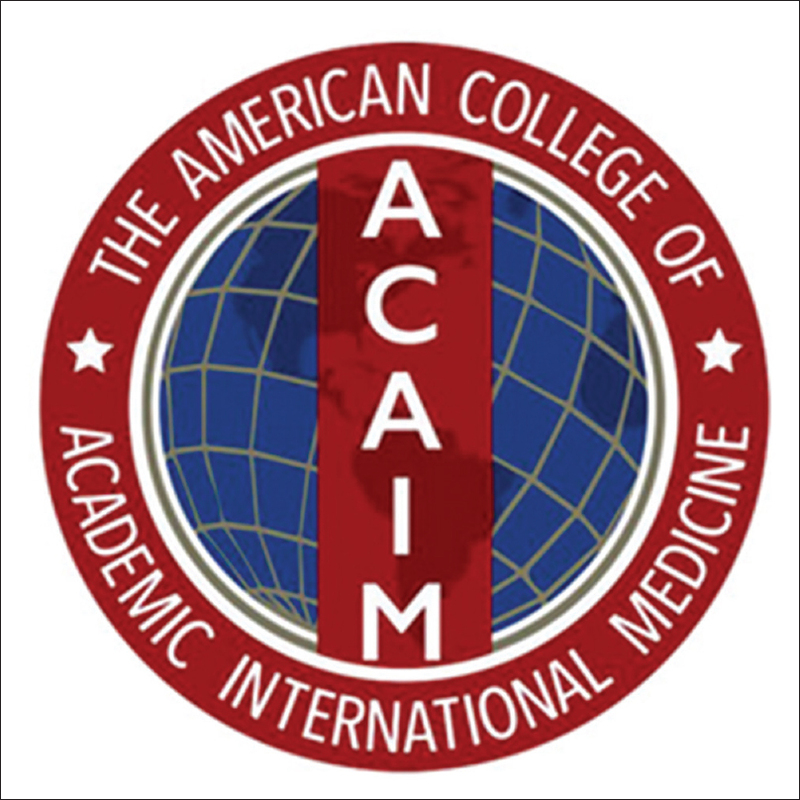 While ACAIM wishes to foster interorganizational, international efforts, “global health” is not our primary mission, but rather the focus is on academic medical institutional support for effective medical education, the clinical practice of medicine, and how such efforts can support the needs of local communities and individual practitioners. The intended end result of our efforts is the formation of a seamless, uniform, standardized system that readily interfaces and coordinates between institutions, providers, and overseas destination facilities and organizations. We plan to create a committed and sustainable infrastructure that supports academic medical institutions and medical providers around the world so as to benefit the recipient country or region through the provision of better-trained health-care practitioners, using the best available knowledge, evidence and/or techniques. As previously emphasized, this kind of collaboration is optimally bi-directional at all applicable structural levels. Individual empowerment will occur through a multi-modal approach using conferences, electronic media, and movement of individuals capable of providing expertise to a specific locale or facilitating movement of those in need of educational support to an ACAIM sponsored site (physical or electronic). To remain consistent with the international mission of ACAIM, we will create sustainable development by providing the substrate for effective preventive medicine and wellness education. Although numerous organizations currently provide international outreach, few have a centrally coordinated academic support structure capable of creating effective synergies and/or knowledge-based health care economies of scale. There are generally few redundancies within the existing outreach infrastructure, and even minor budgetary and/or personnel shortfalls may result in critical systemic failures. Such occurrences, in addition to placing direct medical outreach efforts at risk, are also likely to cause critical lapses in preventive care and decreased focus on wellness. ACAIM will facilitate the promotion of wellness across the globe, working with a broad range of medical institutions and their supporting organizations in this critical area of need. ACAIM is committed to the highest academic standards in international academic medical education and scholarship that meet accepted scientific rigor and educational validity. Consequently, standardized curricular recommendations will be created and implemented within the overall framework of organizational and network development. International service missions will be expected to deliver and maintain – in a systematic and evidence-based fashion – a focus on quality, improved patient safety, better patient outcomes, and ethically sound ventures. These efforts will be guided by approproate competency, self-assessment, and self-improvement standards. ACAIM is committed to hosting its Annual Congress, AIM (acronym for Academic International Medicine). Each year, the AIM Congress will take place at a different venue and will have a distinct theme. A large-scale educational outreach will bring more like-minded people together and result in a better understanding of the challenges faced by the international academic medical community. ACAIM's diverse and dynamic multi-specialty body will provide the necessary resources to enable joint work on addressing healthcare needs around the world through an extensive web of international networking. Such interactions between experts from various disciplines and a highly motivated membership will result in synergies not otherwise possible. International participation and engagement will be a priority with the goal of encouraging worldwide partnerships and the development of strategic relationships. Through a broad range of collaborative relationships with industry, academia, charities, governmental and nongovernmental organizations, ACAIM will establish a sustainable, well-coordinated platform for maintaining uninterrupted international efforts while training a growing coalition of professionals in their home countries, and if necessary and/or feasible, at international ACAIM sponsored sites or events (physical or web-based). Effective bi-directional communication and collaboration will be an important goal in the context of sustainability, as experts across the world have much to learn from each other and lack of well-organized channels for the exchange of knowledge continues to be among key impediments. ACAIM is committed to welcoming healthcare and education professionals from all fields, all training levels, and all international locations. Our group will grow stronger and be richer by the diversity of expertise and viewpoints within its membership. ACAIM is an equal opportunity organization that does not discriminate based on race, color, national or ethnic origin, age, religion, creed, disability, marital status, sexual orientation, and gender identity or gender expression. We embrace all members and active participants who are well-rounded and aware of unique circumstances and/or conditions relevant to geographic regions or countries, as well as the political and social contexts specific to locations where ACAIM-sponsored activities occur. To be good citizens of the international academic medical community, we need to be ready to teach, diagnose, and treat not only where we currently live, but also in a variety of locations across a spectrum of social, economic, and geographic settings. Our focus will be inclusive of underserved populations that represent the most vulnerable patients and their communities, and we will make an orchestrated effort to assist those providers who choose to serve those who are most in need. Our group is young, energetic, yet very experienced, and committed to advancing the mission of academic international medicine. Through our numerous multi-disciplinary initiatives, publications, and conferences, we hope to actively promote the vision of a sustainable, cost-effective, and wise application of precious resources for all to benefit. By promoting the optimal health of populations through support to individual practitioners, medical training sites, and other allied health institutions throughout the world, we will continue to serve the ever growing population of patients who need us most and deserve the best quality, care, and value we can provide. Once firmly established and operating under fully independent direction, ACAIM will be in a position to recognize members whose contributions to the organization warrant special recognition. Such distinction will be made under the designation, Fellow of the American College of Academic International Medicine (FAIM). Benefits and responsibilities of fellowship will be inclusive of mentoring, faculty development, as well as the ability to add to literature and policy so as to create progress across all disciplines and specialties participating in ACAIM. Consistent with our mission, expectations associated with the Fellowship will be high, rewards mainly intrinsic. Integral to any high profile academic endeavor is research into best practices and outcomes, with focus on patients and processes. Here, our goal will be to investigate and increase awareness of international medical challenges, implementation of solutions, reporting on action plans developed, and the quantification of their impact. In this context, ACAIM will actively promote cooperation among research institutions on an international level, offering the opportunity for academicians to conduct research and to collaborate with key partners around the world. To stimulate cross-specialty problem solving for a broad range of medical needs, focusing on sustainability and bi-directional development. The inclusion of a broad spectrum of health providers and specialties in ACAIM promotes cross-disciplinary research that covers diverse topics, from the psychological and social impacts of disasters, to setting up an outpatient primary care clinic, to the logistics of implementing a trauma system in LMICs. The International Journal of Academic Medicine (IJAM) is the official journal of ACAIM. Continuing in the tradition of OPUS 12 Scientist, its precursor publication, IJAM is now in its 2nd year of publication and is backed by 10 years of continuous publication of its predecessor combined with the expertise of our new publisher – Wolters Kluwer Medknow. The goals of IJAM are to provide a unified platform for academic medicine across the world. As this publishing platform matures, we hope to achieve listing with PubMed Central. IJAM seeks to provide excellence in communicating the advances in international academic medical science, clinical/medical practice, public health, ethics, education, as well as social, economic, and political commentary on the current and future needs of the AIM community and other key stakeholders. ACAIM will take concrete actions that will facilitate its long-term objectives, with primary focus on sustainability. Implementation will occur by developing strategic relationships with partners in industry, government, the nonprofit sector, health-care organizations, and institutions of higher learning. ACAIM will advocate for synergistically combining and standardizing structured didactics, provision of well-organized outreach, and implementation of clinical curricula. To this end, our organization will help build universal platforms that will serve as infrastructure to facilitate our efforts and those of our strategic partners to use for the betterment of the world. ACAIM will embrace bi-directionality in all current and future relationships. Given the current heterogeneity of strategies and approaches to international medical outreach, as well as the multiplicity of organizations that are in some way involved in this noble mission, there is acute need for one unified voice to represent and expand US academic international medical efforts across the world. Our organization's goal is to capitalize on this significant opportunity through standardization of policies, procedures, and processes across the entire spectrum of academic medical outreach initiatives. We also aim to create a seamless platform for US-based faculty involved in international medical activities so that appropriate quality and performance levels can be maintained and academic credit can be given to those actively contributing to such efforts. The authors would like to acknowledge the generous support of Dr. John Chovanes (New Jersey), Dr. Charles H. Cook (Massachusetts), and Dr. Vikas Kapil (Georgia), including their leadership and guidance throughout the formational stages of ACAIM.